St. Gregory Palamas: Why did [the Prodigal Son] not set off at once instead of a few days after? “And not many days after,” it says, “the younger son gather all together, and took his journey into a far country” (Luke 15:13). Why did [the Prodigal Son] not set off at once instead of a few days after? The evil prompter, the devil, does not simultaneously suggest to us that we should do what we like and that we should sin. Instead he cunningly beguiles us little by little, whispering, “Even if you live independently without going to God’s Church or listening to the Church teacher, you will still be able to see for yourself what your duty is and not depart from what is good.” When he separates someone from the divine services and obedience to the holy teachers, he also distances him from God’s vigilance and surrenders him to evil deeds. God is everywhere present. Only one thing is far away from His goodness: evil. Being in the power of evil through sin we set off on a journey far away from God. As David says to God, “The evil shall not stand in thy sight” (Ps. 5:5). This entry was posted in Sayings from Saints, Elders, and Fathers, St. Gregory Palamas and tagged Divine Liturgy, Evil, Logosmoi, Omnipresence of God, Presence of God, Prodigal, Prodigal Son, Psalm 5, Scripture Gospel of Luke, Separation from God, Services of the Church, The Evil One on February 28, 2016 by ocqadmin. 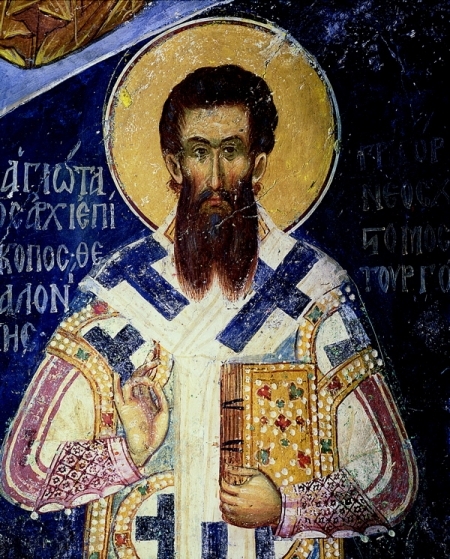 St. Gregory of Palamas: Let us flee from those who reject patristic interpretations . . . This entry was posted in Sayings from Saints, Elders, and Fathers and tagged Defending Orthodoxy, Falling Away, False Ecumenism, Heresy, Heretic, Holy Fathers, Holy Tradition, Praying with Heretics/Heterodox, Separation from God, Spiritual Death on May 20, 2014 by . 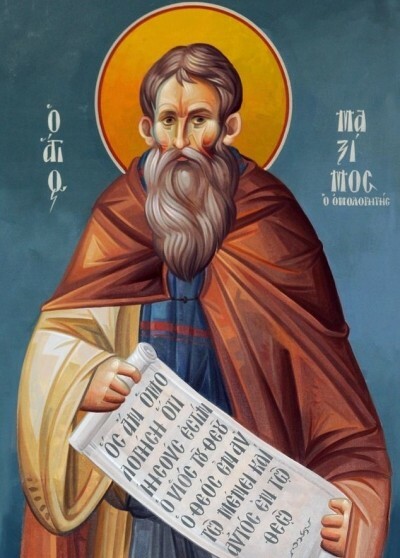 St. Maximos the Confessor: The demons attack the person who . . . The demons attack the person who has attained the summits of prayer in order to prevent his conceptual images of sensible things from being free from passion; they attack the gnostic so that he will dally with impassioned thoughts; and they attack the person who has not advanced beyond the practice of the virtues so as to persuade him to sin through his actions. They contend with all men by every possible means in order to separate them from God. This entry was posted in Sayings from Saints, Elders, and Fathers, St. Maximos the Confessor and tagged Demonic Attack, Demons, Passions, Prayer, Quotes from the Philokalia, Separation from God, Sin, Spiritual Knowledge, Spiritual Warfare, Thoughts, Virtue on May 14, 2014 by . St. Maximus the Confessor: If we detect any trace of hatred in our hearts . . . This entry was posted in Sayings from Saints, Elders, and Fathers, St. Maximos the Confessor and tagged Hate, Love, Love of God, Loving Neighbor, Neighbor, Quotes from the Philokalia, Separation from God on October 7, 2013 by .